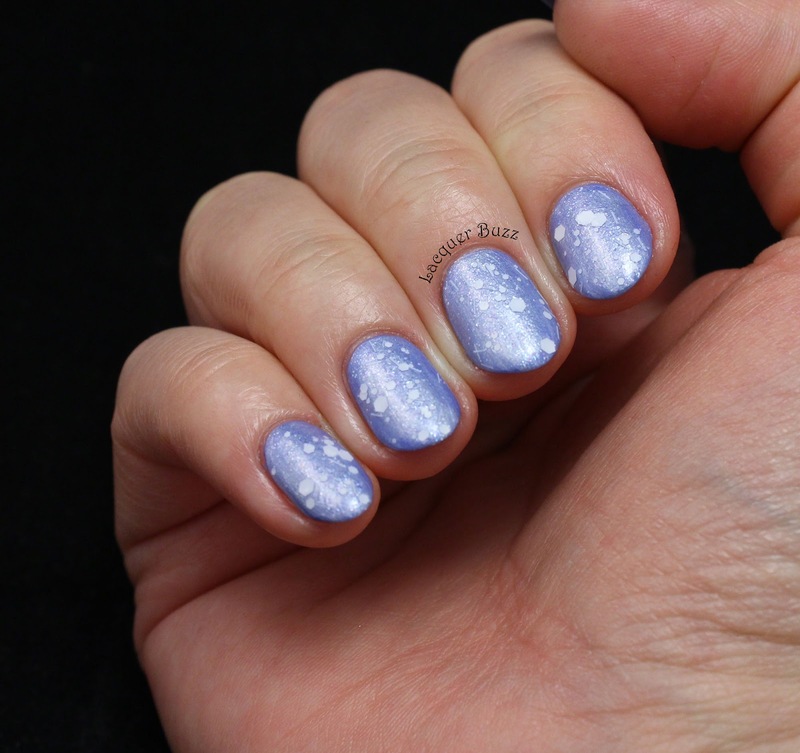 This is quite simple to recreate because it's just a layering of three polishes. You only need the right materials. I started with a blue base of p2 Crazy Beauty from the Volume Gloss collection, a lovely periwinkle creme. I only wanted to use a coat of this polish but I ended up adding a second one to make it perfectly opaque. It dries very fast though, so it wasn't much of an issue. On top of the blue I added a coat of Oriflame Snowflake, a polish that one of my friends gave me as a birthday present. 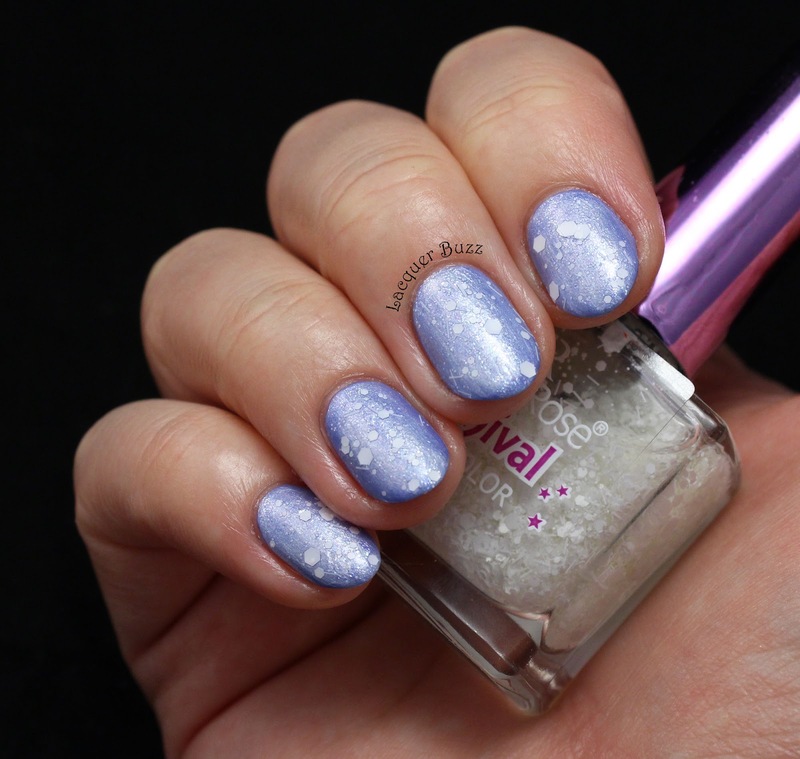 It consists of a clear base that is packed with white iridescent shimmer. The shimmer particles can look pink of blue when light hits them but that didn't translate in the pictures. The polish is quite thick so I had to be careful while applying it to make it even and avoid streaks. Finally, I added a coat of Golden Rose Carnival 01, a white glitter that reminds me of snowflakes. I really enjoyed wearing this manicure on my nails. It's perfect to get you in the mood for winter. I hope you like it too! Make sure to check out the rest of this month's Monday Blues in the links below!